I'm wondering if I am able to still make some of the simple amigurumi I've seen here on the forums, even though some call for a larger hook? Does anyone have any suggestions on places that offer free patterns that are specifically made for a size 3 hook like this? I am also wondering about the type of yarn I will need for a hook like this. It was suggested to me by a friend that I use DMC or Aunt Lydia's brand yarn for a size 3 hook. Is that okay? Is there some other brand I can use in case the store doesn't have those brands? The best thing to do is to find yourself a brand that is affordable, and you like working with. 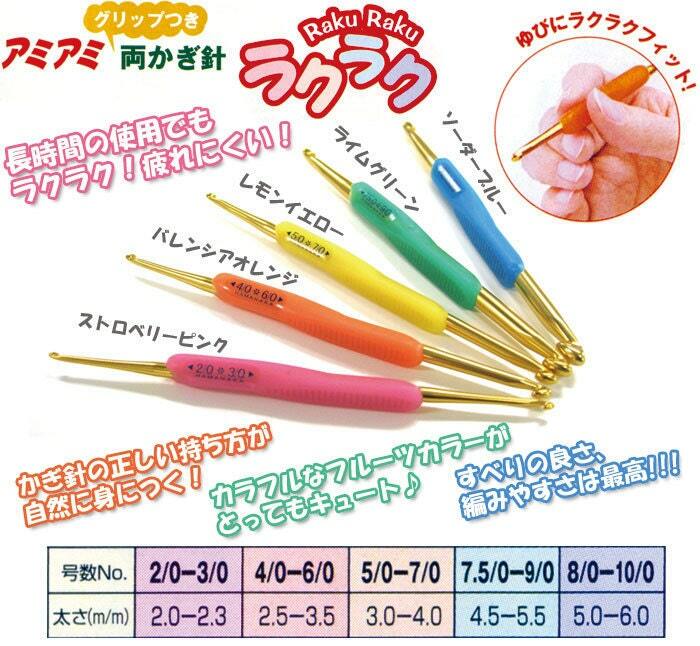 The size of your crochet hook does not really matter, as long as you use the right size yarn for your crochethook. If you don't follow the exact same sizes that were asked for in a pattern, your amigurumi will be a little bigger or a little smaller, according to whatever hook you are using. But basicly this is not a problem. or follow me on facebook.